Coincidences are strange things. Like when you’re reading a word and you hear it being said at that exact moment on the TV or radio. Kinda weird , right? But it happens to me… frequently. You too? Or how about when you find yourself thinking of someone you haven’t seen or spoken to for some time, and then you come across something about them or the phone rings and that person’s on the other end. Things like that. I wonder if these coincidences are more than just coincidences. Some say they’re divine messages. Could be. Burt emailed a few days ago to tell me he had written his memoir and a fictional novel based on life events he and his late wife Jane experienced, and he wanted to send me copies of both books. Ding dong. I signed for the package. Inside were two paperbacks, each protected in bubble wrap bags. Sliding them out I began reading the cover notes on Burt’s memoir. Now, I thought I pretty much knew Burt’s history because I’ve interviewed him several times since I first introduced him to my listening audience in 2001. 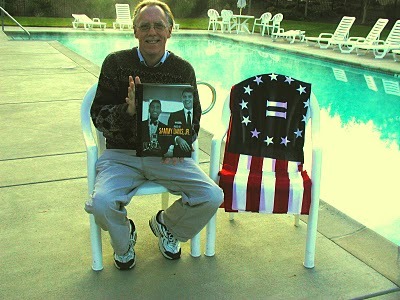 For example, I knew that he is a Hollywood conservative. I knew that in 1954, Burt and his wife Jane moved within the inner circle of New York City’s Broadway theater district and that he was desperately sought after by actors and publicists because of his nationally syndicated daily column that was read by ten million pairs of eyes each morning, making it a Who’s Who of the theatrical world. Everyone coveted a mention in the Annenberg and Newhouse daily Morning Telegraph front page feature Burt Boyar’s Broadway. I knew that Burt also had written a weekly column for TV Guide, as well as several feature articles for Esquire and New York Magazine. 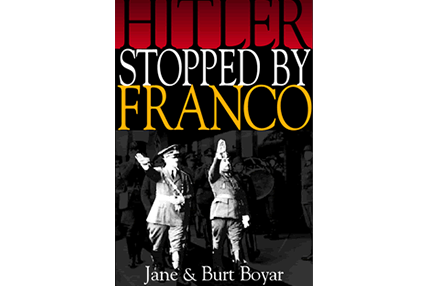 That he had authored several books, including “Hitler Stopped by Franco”, an amazing but little known historical account of General Francisco Franco of Spain who defied and prevented Hitler from winning the war. I knew that because of his long and close friendship with Sammy Davis Jr., Burt and Jane ran within the periphery of the famous Rat Pack. 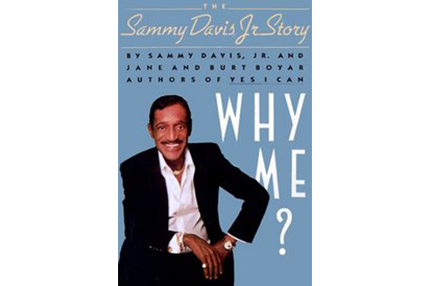 That the couple had helped Sammy write his first autobiography “Yes I Can, the Story of Sammy Davis Jr.” and later “Why Me?” and “Sammy: An Autobiography”. I knew that Burt had given financial assistance to Sammy’s widow Altovise when she was down and out. 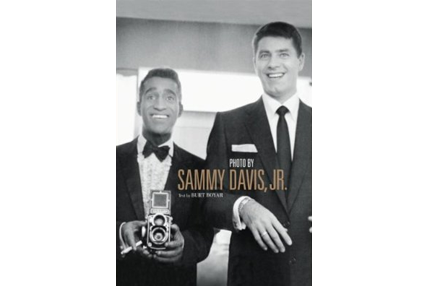 I knew that he rescued Sammy’s precious and unique collection of amateur photographs from a warehouse years after the entertainer’s death and published them in “Photo By Sammy Davis, Jr.”, a coffee-table size book filled with hundreds of fabulous behind the scenes candids of the Rat Pack and the Hollywood stars who orbited their world. 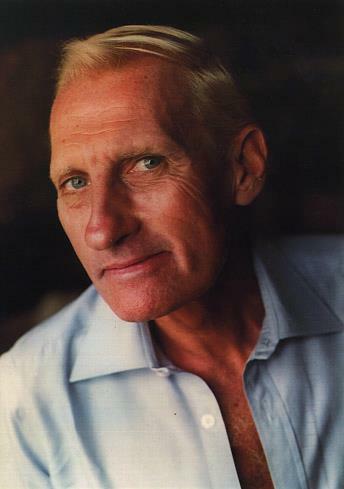 I know that Burt has been working on a movie project about the life of Sammy Davis Jr. I know that Burt is a friend of First Lady Nancy Reagan. 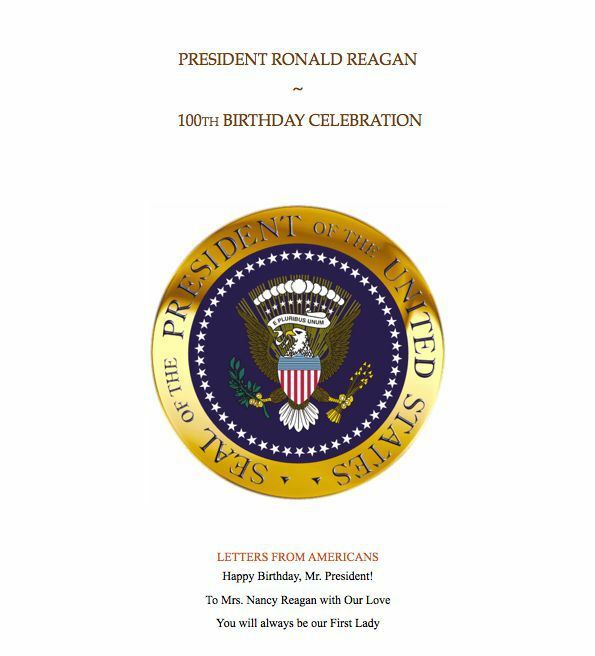 When I compiled a book of birthday greetings from my listeners and readers on the occasion of President Reagan’s 100th birthday anniversary, Burt hand delivered it to Mrs. Reagan. I know that Burt has a heart of gold. When my show producer Dave “ThirdWaveDave” Logan was fighting to recover from complications following his bone marrow transplant, Burt sent him a handwritten note of encouragement. At about the same time the FedEx guy came to my door, an email was dropping into my inbox. Subject: “Old Time Radio”. It contained well over a hundred links to original 1930s and 1940s radio “soaps”: Comedy, Detective, Drama, Mystery, Westerns… a treasure trove of WWII era radio programs that kept our grandparents and parents entertained “watching the radio” back in the day when Hollywood and New York were still American as apple pie, ticker tape parades, flag waving 4th of July picnics, and advertisers who told us our clothes would be brighter if we laundered them in Rinso. 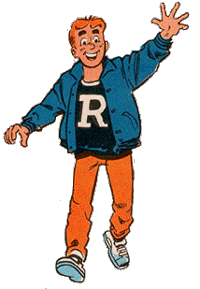 One of those Old Time Radio Dramas linked to the “Archie Andrews” programs — 1940s radio episodes based on the popular Archie Comic books about the life of the fictional red-haired teenager and his pals Jughead, Moose, Reggie, Veronica and Betty. Who doesn’t remember Archie and the Gang? Just by chance, I clicked the link and listened to the “Christmas Shopping” episode as I sipped my morning coffee. The situation Archie found himself in and the dialogue was still hilarious, even after all these years. Didn’t I see something yesterday on the back cover of Burt’s “Blessed” memoir about Archie Andrews? I put down my coffee cup and fetched the book. I sat back, stunned. What were the chances that both these totally unrelated life events would come to me within hours of each other? What were the odds I would be listening to the voice of my friend Burt at this very moment? I’ll probably never know the answer to that, any more than I’ll know the answer to the questions I have about life, God and the future. You can find Burt on his website or Facebook page. Drop him a line. I know he’ll be delighted to hear from you. And you will have introduced yourself to one of the most interesting people you’ll ever meet. Both you and Burt will be… well, Blessed. And that, my friends, is no coincidence. 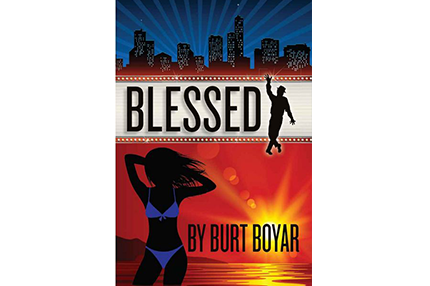 You can purchase Burt Boyar’s memoir “Blessed” at Amazon. P.S. Thank you to Carol “Paddywagon” of Phoenix for sending me the Old Time Radio email. If you’d like a copy, leave a comment and I’ll forward it to you.